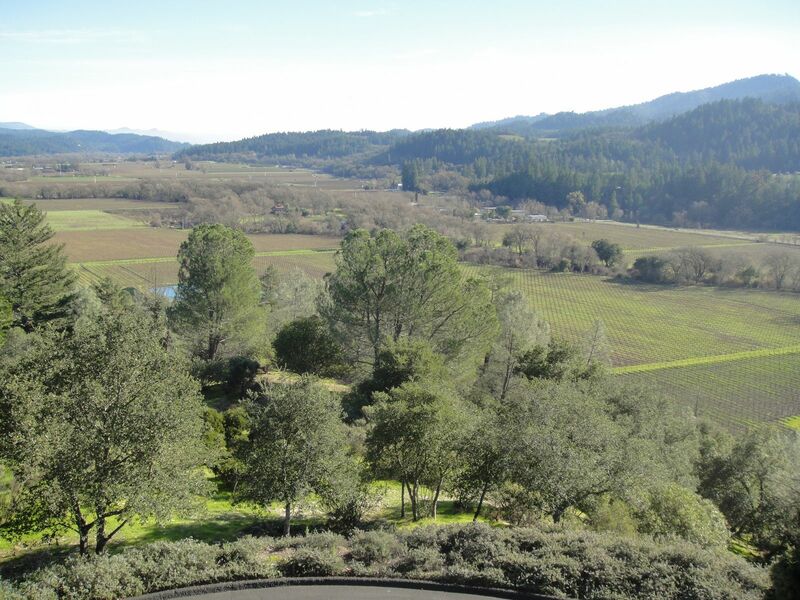 TM and I took a little drive to Napa a couple of weekends ago and saw this gorgeous landscape. We’re so spoiled in California with January temperatures in the high 60’s while other parts of the country are battling blizzards! This was our first time going up to Sterling Vineyards. You take the tram up to the top and do a self guided tour with five wine tastings. It was the perfect day for some wine and relaxation. We had 11:30 reservations at Mustards Grill and I am so glad we did. It was amazing to see how quickly every single table filled up around us before we even got our food! We started out with the crab cake appetizers. One order comes with two crab cakes and salad and the restaurant was nice enough to split it onto two dishes. Little did they know I didn’t want to share… TM hates crab usually! It’s edible for him when it is fresh and fried. This was no exception. 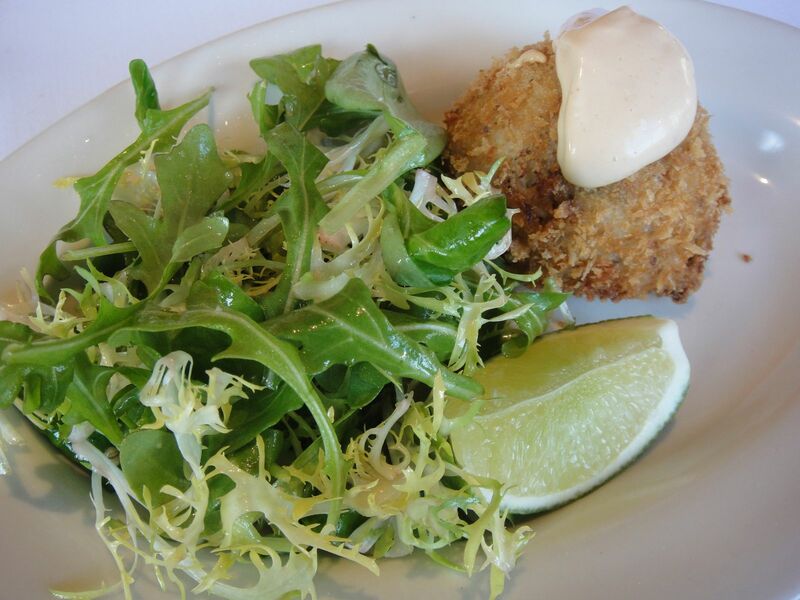 It was a great crab cake – fresh and meaty, not heavy. I loved the vinaigrette on the side salad too. We ordered not only one but TWO appetizers. TM loves thin onion rings when they are thin like this and he quickly gobbled up most of the plate. I liked these hot but once they cooled down, they tasted like an oily mess. I needed to save room for the main entrée. These were served with a side of their homemade tomato-apple ketchup. Every single table we saw had an order of these onion rings going out to them! I ordered an ahi tuna sandwich with the pickled ginger on the side. It was probably my mistake because the sandwich missed a little extra zing – but I don’t like pickled ginger so I gave it all to TM. 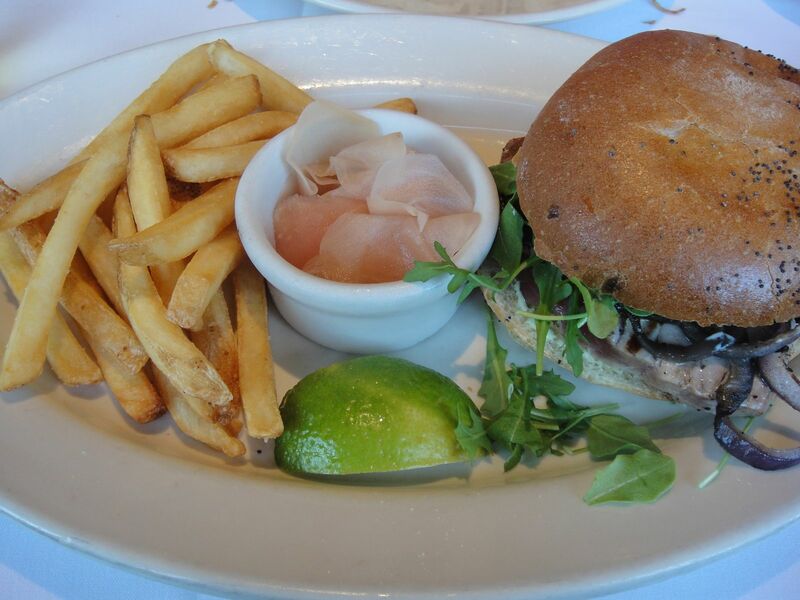 The sandwich was good but the fries were quite excellent. The thing I wanted to try most was the grilled pork chop. It was Bobby Flay’s recommendation on The Best Thing I Ever Ate. The sweet and sour red cabbage turned me off so I had TM order it. I just wanted a bite of the pork chop to say I tried it. 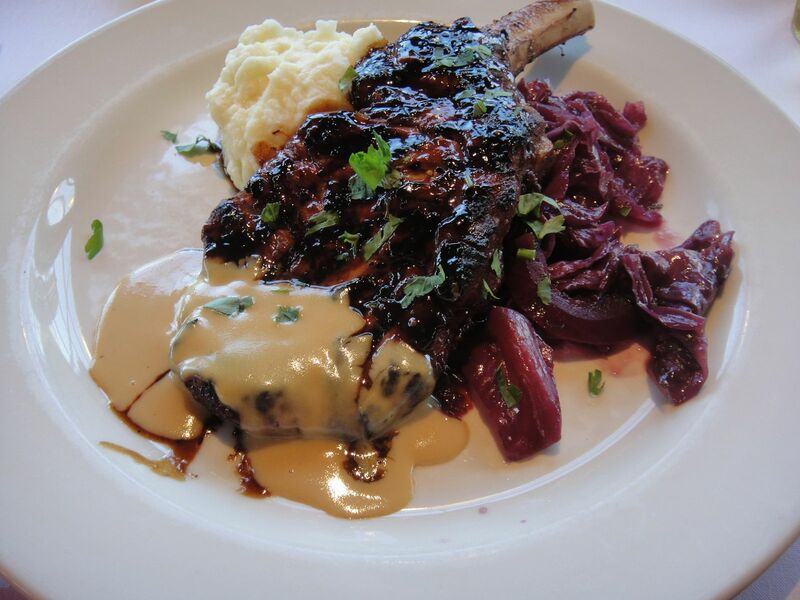 One bite turned into two, then three, then four… this Mongolian Pork Chop was moist on the inside with perfect flavors and the housemade mustard only enhanced the grilled meat. 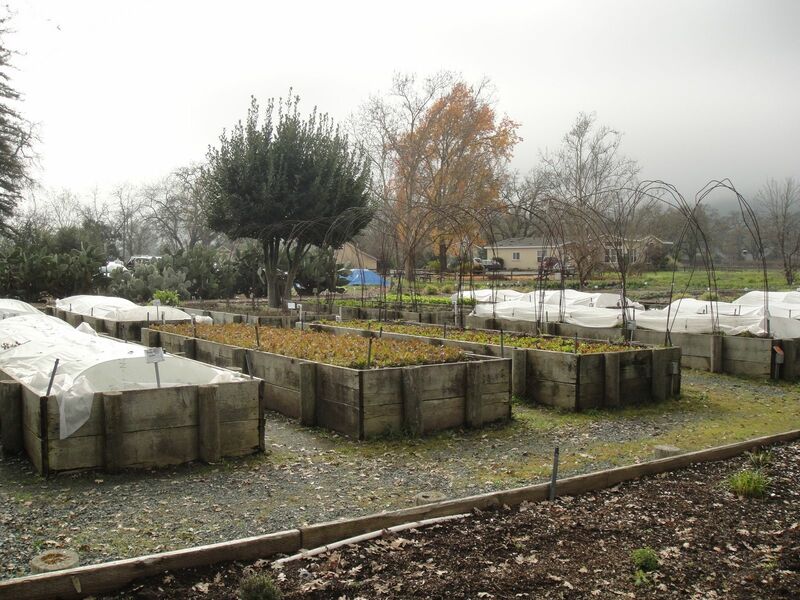 We parked next to their garden which produces about twenty percent of the restaurant’s produce. I love this! It must be beautiful in the summertime with lots of colorful veggies growing on the two acres by the restaurant. Sorry, everything is delicious. 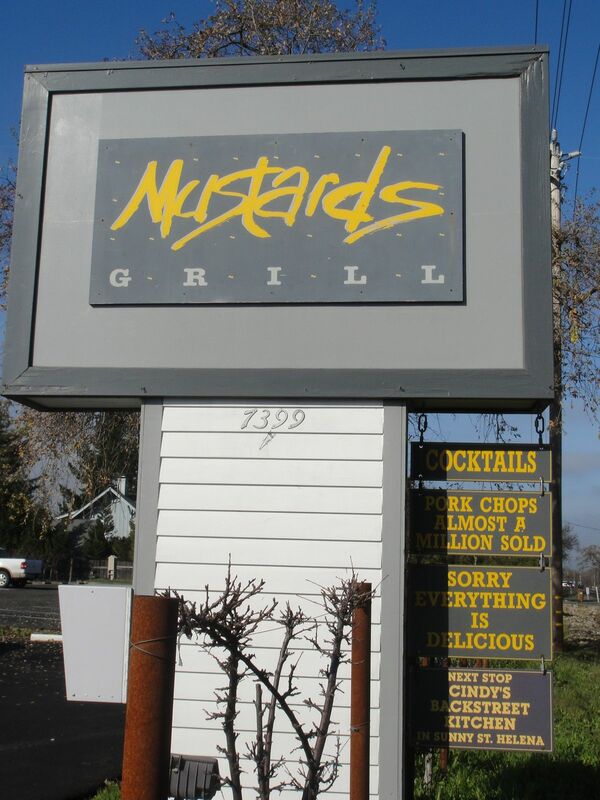 I overheard the people at the table next to us telling their server that they stop at Mustards every time they come to Napa. 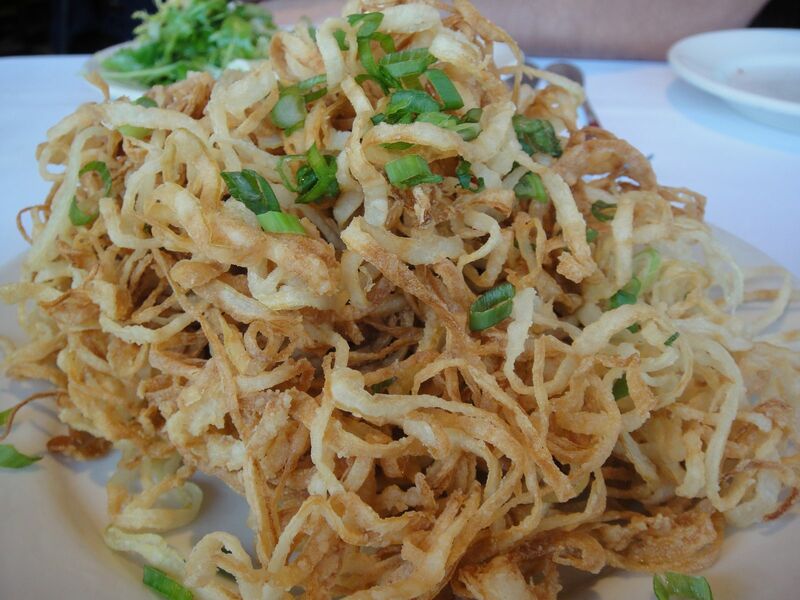 They order different main dishes but those onion rings are a must every visit! We had to fight our way out of the restaurant. It was packed with people who had not made reservations and were waiting for a table. How cute is this sign?!? 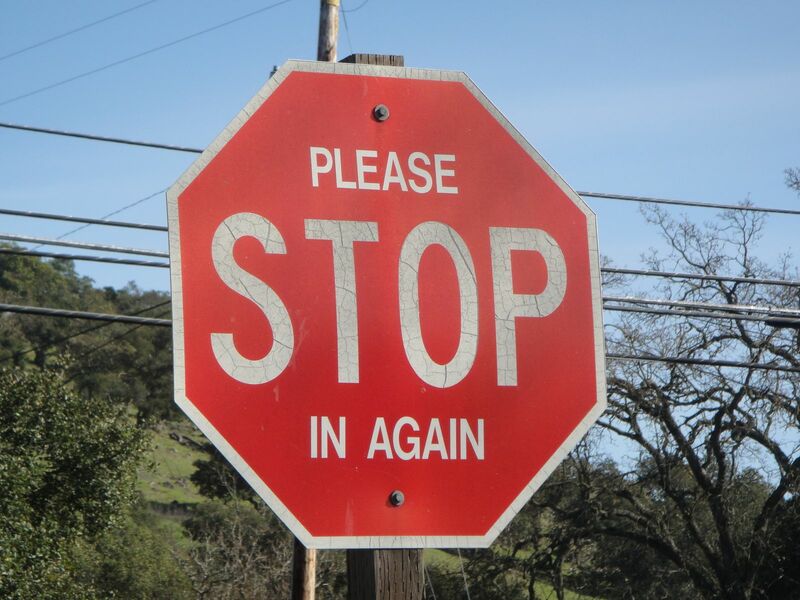 Why, I’d love to! Happy New Year! It is rare that TM has a work-free weekend so we took this opportunity to drive up to Sausalito for a day trip. He had never been there before and for some reason, I thought it would be sunny and gorgeous up there all weekend. 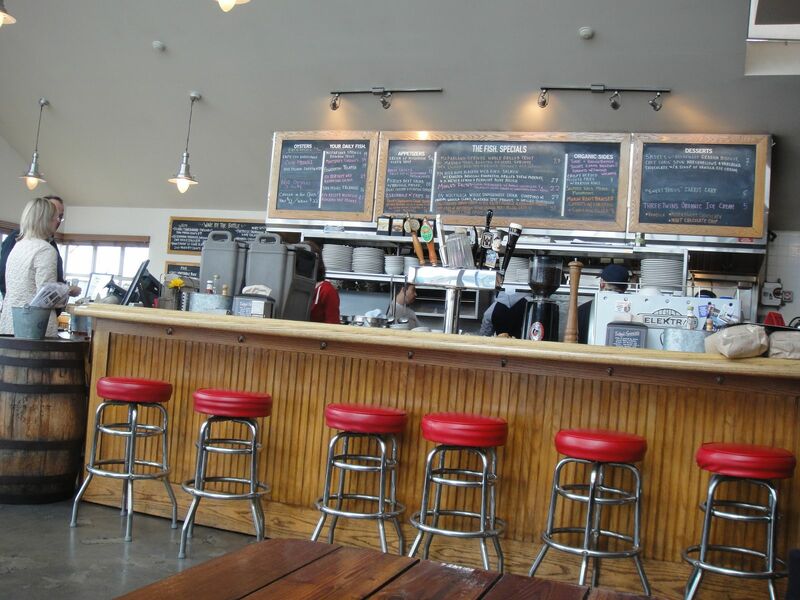 Of course, I suggested Sausalito because there was some food stuff I wanted needed to try. I’m starting to quite love Tyler Florence and any of his food recommendations on The Best Thing I Ever Ate. 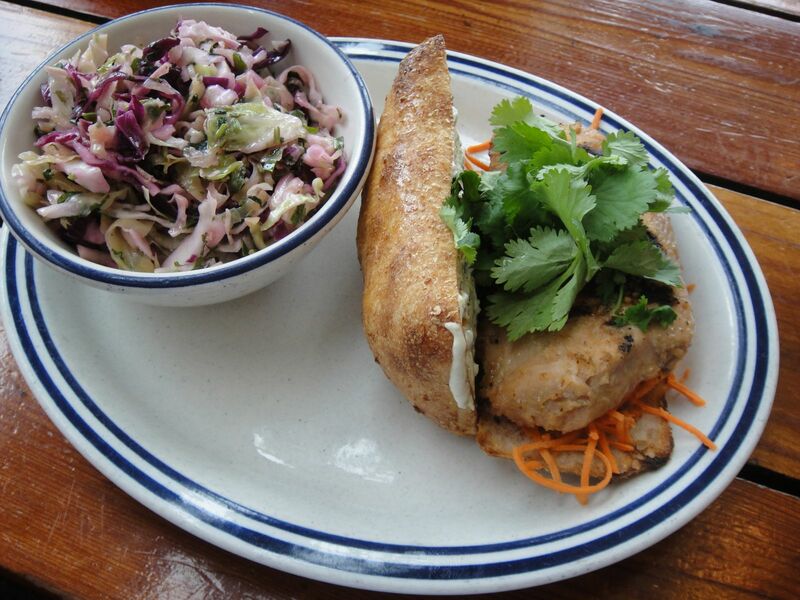 On the “Reinvented Classics” episode, Tyler mentioned the crab roll at Fish. It is the west coast sibling to the lobster roll! 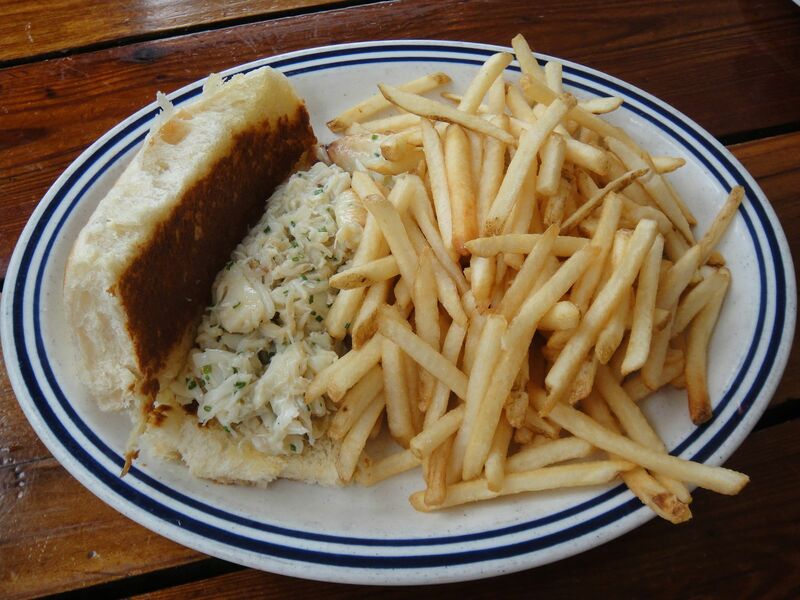 It is sweet Dungeness crab mixed with chives and butter piled onto a roll that has been grilled with butter. You can choose shoestring fries, side salad or coleslaw but really, who would choose anything but fries? These shoestring fries were pretty darn amazing! They were light and plentiful!! 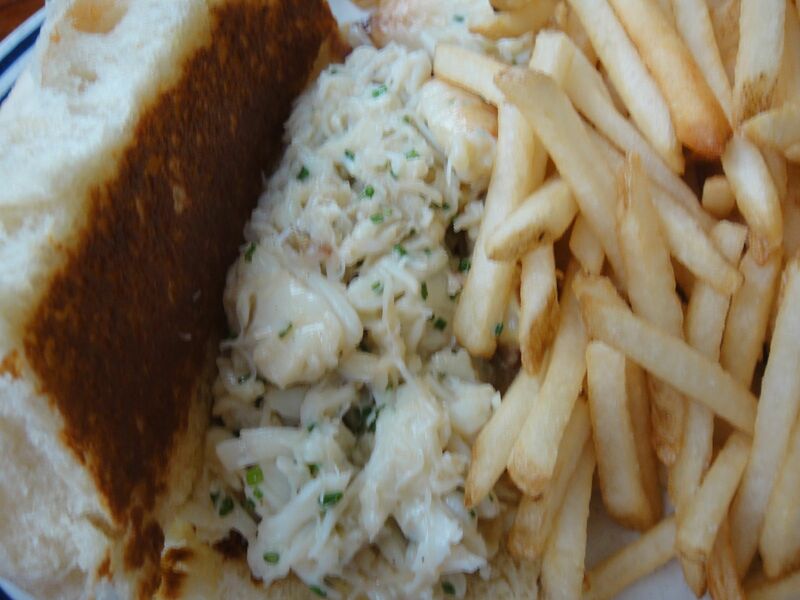 Here’s a close up of the crab meat. The best part was not having to crack the crab and dig for the meat myself. It was bite after bite of meaty, buttery goodness. At $25 per sandwich this was definitely not a cheap meal but so worth it. TM is a real trooper and went along with me (he had no choice, really) to this seafood restaurant. He ordered the Saigon Salmon sandwich which was a grilled marinated salmon with carrot, jalapeno, cilantro, with a Vietnamese ginger scallion sauce spread onto the roll. The sauce definitely had a little kick to it! He ordered the side of coleslaw and stole some of my fries. TM splurged and went for a hot chocolate since it was so cold out. 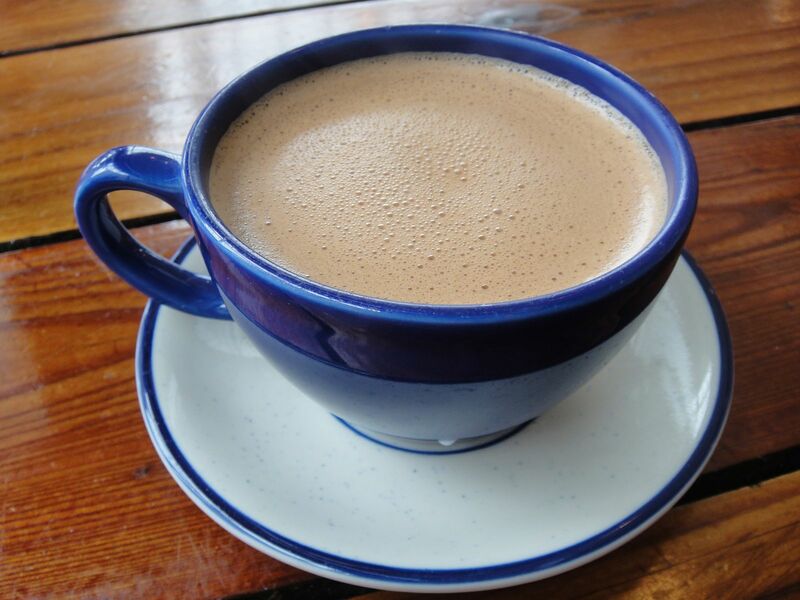 It had the perfect blend of cinnamon in the hot chocolate! 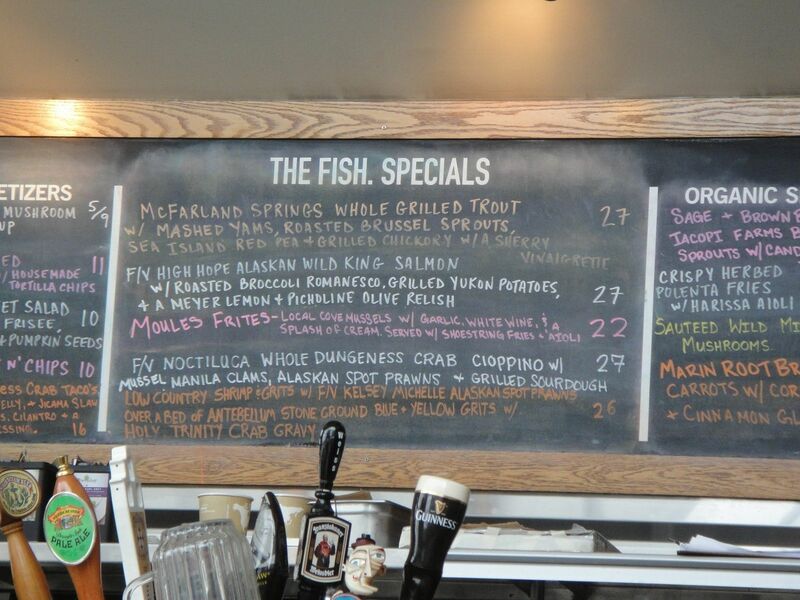 Everything on the menu is fresh and sustainable. 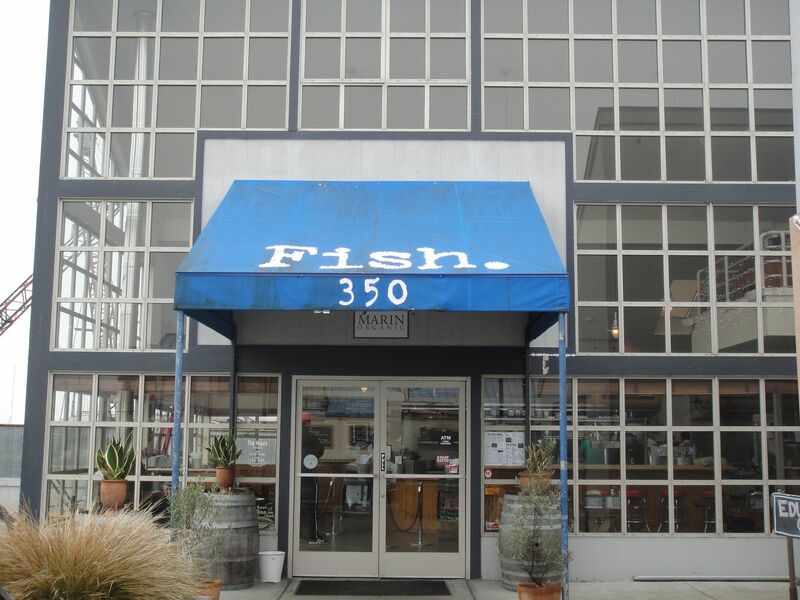 Fish Restaurant received the Sustainable North Bay Award to honor their commitment to protecting wild fish populations and helping the local economy by supporting local fisherman. Go Fish! We arrived at 11:30 on the dot and were the second party in the restaurant. We soon saw families and couples come in. I’m so glad we got there when we did. Every seat in the place was filled once we got our food and a family of four snatched up our table as soon as we stood up to leave. I was surprised at how many families with little children there were at Fish. I asked TM if we would come back with our kids one day and he said our future kids can eat $1 chicken mcnuggets from McD’s… not $7 PB&J that is on the menu at Fish. They have a small kids menu with four items on it including fish sticks, grilled cheese, PB&J and pasta. This place is cash only so make sure to hit the ATM before you go! You are currently browsing the For the Love of Food weblog archives for January 2011.